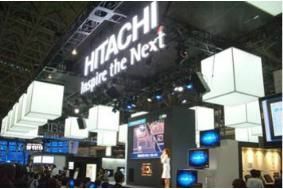 JAPAN: Hitachi to hold back on 3D TVs until next Spring | What Hi-Fi? Yes, there may be some more 3D content available by next spring, and concentrating on the conventional market will enable Hitachi to make the most of an expected year-end rush caused by the impending end of a Japanese government eco-incentive programme, which rewards consumers buying less power-hungry appliances. However, it's expected that TV sales in Japan will drop sharply after the incentive scheme ends next March. Hitachi, which celebrates its centenary this year, is nevertheless continuing development work on 3D technology. At the recent CEATEC 2010 show in Japan it demonstrated not only its first frame-sequential Full HD 3D TV, but also a 160in-screen 3D projection system, using stacked projectors and polarised glasses. Also on show was a Full Parallax 3D display, able to be viewed from any angle without glasses and giving a 360-degree view, and destined for signage, medical and industrial uses, and museums and galleries. The company also demonstrated Depth Fused 3D displays, able to be viewed without glasses, in 9in and 12in sizes, and various strategies for reducing the power consumption of TVs. It's thought Hitachi is working on more energy-efficient 3D TV technology before launching, but the company is also said to be considering adopting plasma technology for 3D, due to the faster response speeds available.